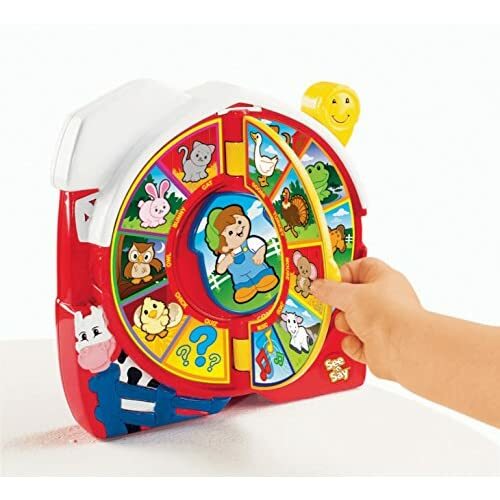 Classic See ‘n Say play – turn the arrow and pull the lever! 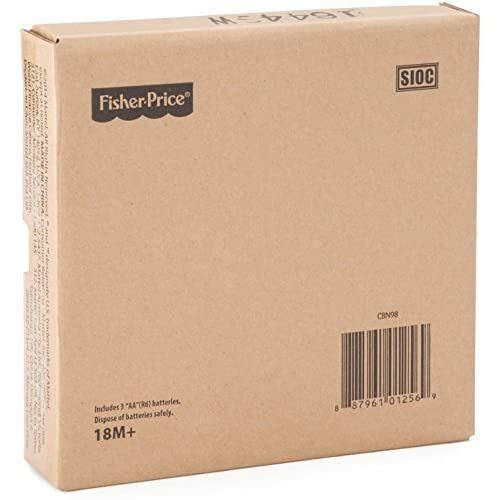 This classic learning toy is better than ever! 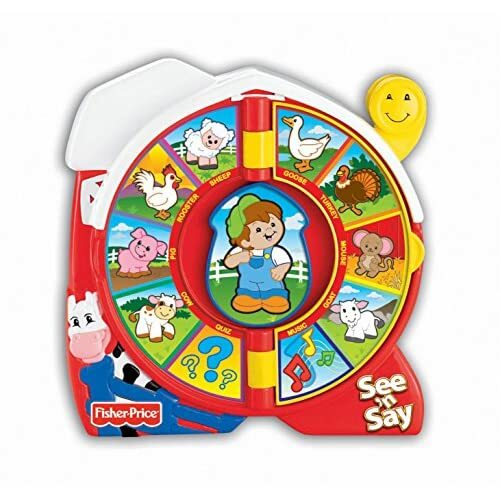 Shaped like a barn, it teaches kids fun facts about 16 different animals. 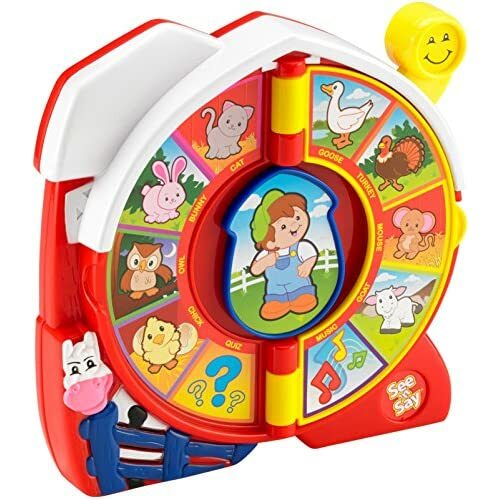 To start the learning fun, just select a page and then turn the arrow to select an animal and pull the lever to hear the Farmer speak. There is also a quiz mode for more learning fun. 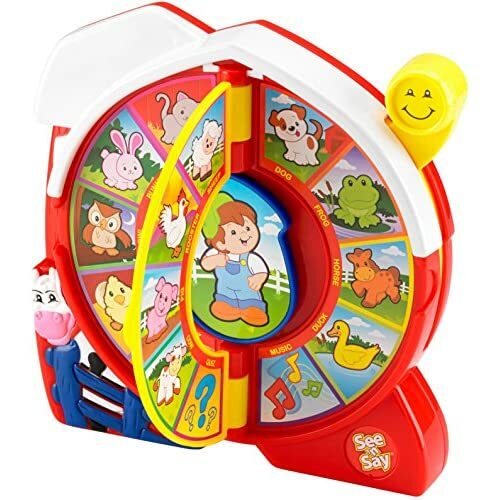 It's a great way to learn words and animals, too! Plays "Old MacDonald" and "Farmer in the Dell" melodies. Requires 3 AA batteries. For the Best Possible Start -To give your child the best possible start in life, you don’t have to have all the answers or do things a certain way. All you have to do is the best you can, and let your kids play. 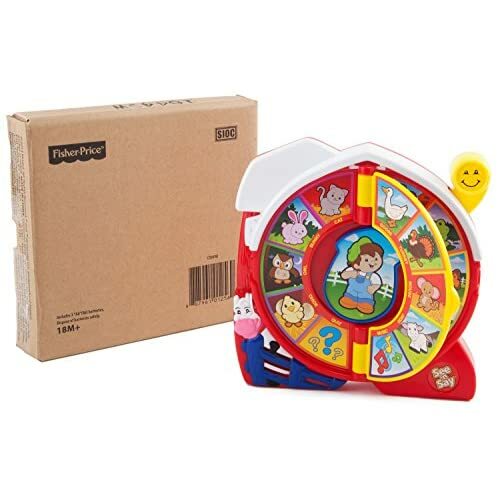 At Fisher-Price, we’re dedicated to helping you do just that by working tirelessly to bring you the very best gear and toys. 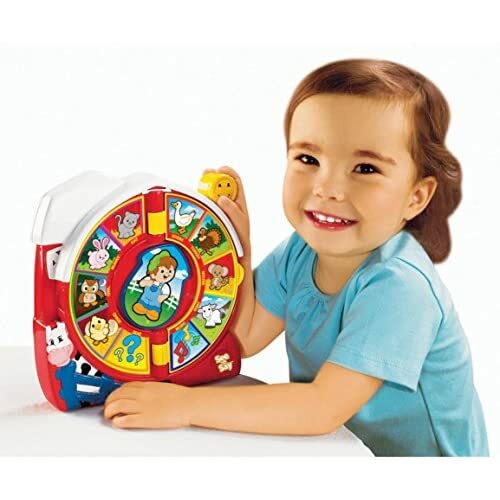 Fisher-Price toys are made to help all kids—from infants to toddlers to preschoolers—develop through play, in their own ways, because that’s how they learn best at each age and stage. And for babies, our gear offers simple solutions (more sleep, anyone?!) you can’t possibly parent without.